Desh Bhagat University Faculty of Law College in Punjab Organized a one day Legal Aid Camp in connection with World Literacy Day. The camp was arranged at Village Dandrala Dhindsa of District Patiala. 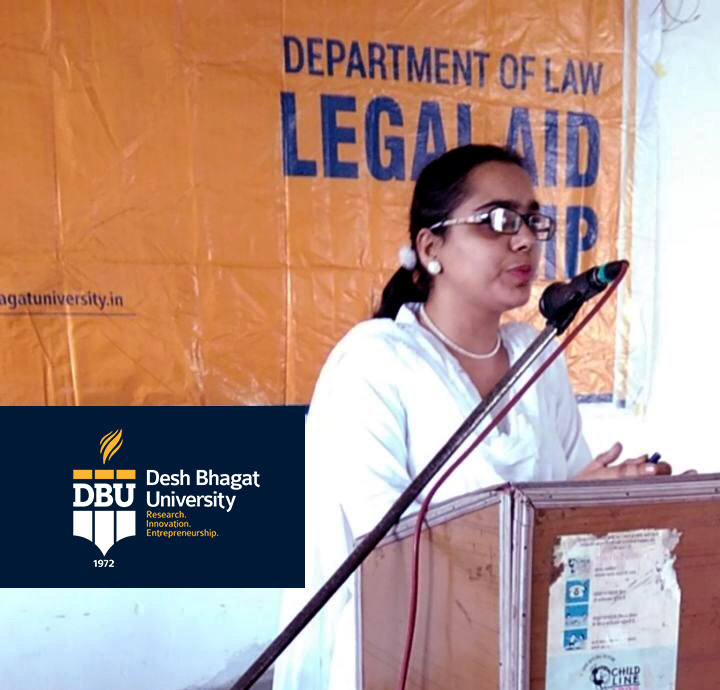 Giving Details about the event, Pro-Chancellor Dr. Tajinder Kaur stated that the students of different Law classes along with faculty members participated in it with zeal and enthusiasm. 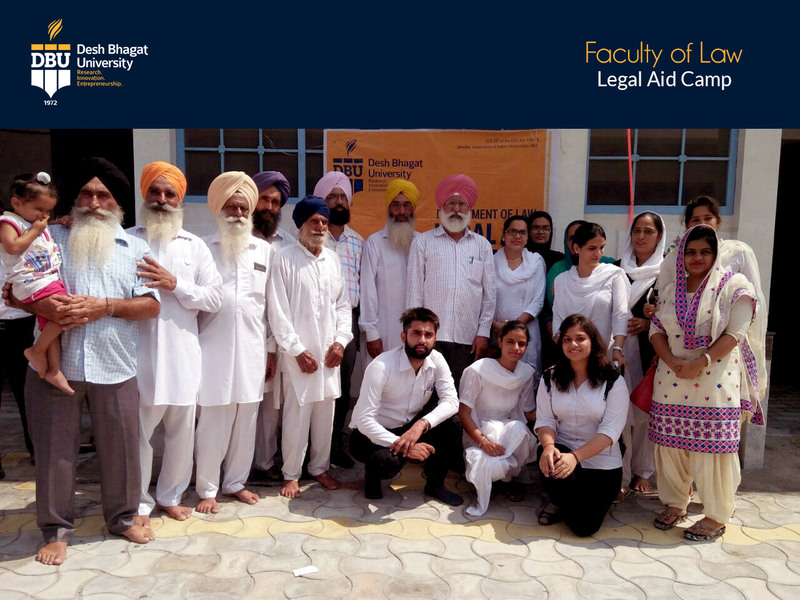 The objective of the camp was to make people aware about their fundamental rights and about different sections of law. The programme was attended by the villagers, Panchayat members; teachers and students of Govt. Senior Secondary School. 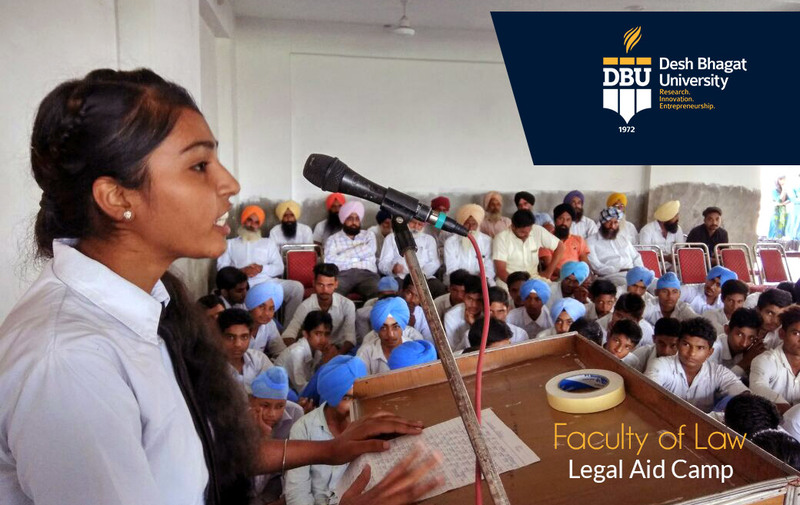 Dr. Inderpreet Kaur, HoD (Desh Bhagat University Best College in Punjab) delivered a lecture on Right to Education and its importance for the progress of the society. 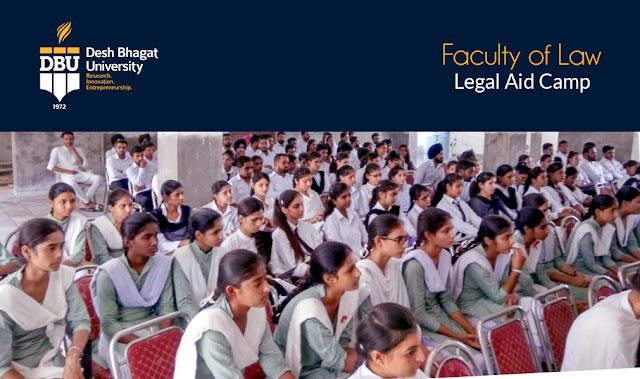 On the other side the law students shared their views on the topics like Law and life, FIR, Arrest, Rights of women during Arrest, Dowry Death, Cyber Crimes, Modesty of Women, Consumer Rights, GST and Free legal aid etc. During the programme various queries put forward by the school students and the villagers were aptly replied by the law faculty members. Govt. Senior Secondary School Principal, S. Sadhu Singh, village Sarpanch Mrs. Manpreet Kaur and Panchayat Members highly appreciated the effort of the students as well as of the University for such a Noble Task. Chancellor, Dr. Zora Singh expressed the view that such events are very useful for students and help them in their multi-functional growth. Vice-chancellor Dr. Virinder Singh said that the University organises such events from time to time to make common people aware about their rights. During the camp faculty members Ms. Ravneet Kaur, Mandeep Kaur, Mandeep Mann, Manpreet and Prabhjot Kaur also shared their views on different topics.